Where to start here. 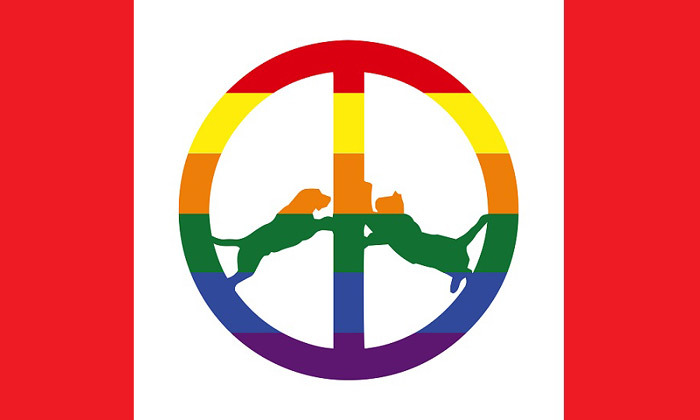 Let’s begin with what could loosely be interpreted as the “facts” around Hype Williams; that they’re a sometimes but not always duo based in London (and/or Berlin) consisting of Dean Blunt and Inga Copeland and that their association began creating music about twelve years ago. Everything else – from rumours that HW is effectively a multi-agency, multi-media, multi-personnel art installation/running joke, to the role played by supposed collaborator Denna Frances Glass (evidence: a Soundcloud page and Gmail address, with ambient worldy-type music and hashtags such as #business and #sin) – has, however, been left deliberately wide open to our interpretation, part information vacuum, part social experiment. Musically, they share as much of the same thought patterns as either, drawing amongst other things on strands of dub, hip-hip, 20th century TV jingles, found sounds and sampled film dialogue, all rinsed through effects and distortion before landing in the mould of abstract chillwave having a very bad couple of days. To add to the mystery, at some point in 2011-12 HW virtually disappeared. Blunt has since released a solo album ostensibly recorded in Moscow – which can still be downloaded from an obscure Russian language website – but nothing of substance arrived until recently in the shape of a press release (possibly written by Glass) that began “4 the sake of clarytin” – no, we’re not making this up. Unsigned, it went on to say that neither Blunt or Copeland are still involved in the project, that any other HW releases post 2011’s ‘One Nation’ are fake, and closing with the explanation that ‘Rainbow Edition’ was “STRICTLY for the whip.& ppl 2 fat for fedoras”. Whether Blunt is still at the party or not, ‘Rainbow Edition’ sounds as much like HW as it doesn’t. Opening with the street duologue of ‘Madting’, a game of is-it-isn’t-it then rapidly emerges; from the menace of the early Diplo-esque ‘#blackcardsmatter’, with it’s stained and decayed trip-hop backing to the six minutes plus of twisted eighties pop nightmare that’s ‘Spinderella’s Dream’, guesses remain futile, many of the “joints” so insubstantial that interpretation is as difficult as it’s pointless. As an example, take ‘Leimert’: the 160 seconds have little relation to the LA neighbourhood from which black families are being economically evicted due to steeply rising house prices. The sludgy spoken word intro and Aquarian harmonies which follow could you guess be some sort of commentary on social mobility – or maybe the title is designed impishly to prompt research and the music is just part of a breadcrumb trail of pricked consciousness. If the purpose is to prompt some kind of confrontation, it fails, mostly because the jabs and feints are just those; cut up fragments of a manifesto, sometimes of which sound like they could’ve been greater things if delivered as a whole (‘The Den’, ‘Baby Blu’, ‘Puredamage’), and sometimes because their impenetrability reduces the listener to sampling them exclusively at face value (‘Cockblocker Blues’, the abrasive finale ‘Kandy’). Looking at these things pragmatically, it doesn’t matter who “Hype Williams” is, or are, or were. In 2017 few if any records are built to convey the sheer disruptive madness of our times, it’s ambiguity at a moral, cultural, even spiritual level. ‘Rainbow Edition’ does this by rejecting the disease of normality, of the Soma-coma it often feels we have no choice but to exist in. Paranoid and awake, the last five years of silence appear to have been whoever is responsible simply waiting for the modern world to catch up with them.